If you are preparing to return to your home after a flood, you know already how difficult and lengthy the task ahead of you will be. Restoring your home, salvaging your personal belongings, and replacing furniture and appliances that cannot be salvaged will be expensive, time-consuming, and often frustrating. 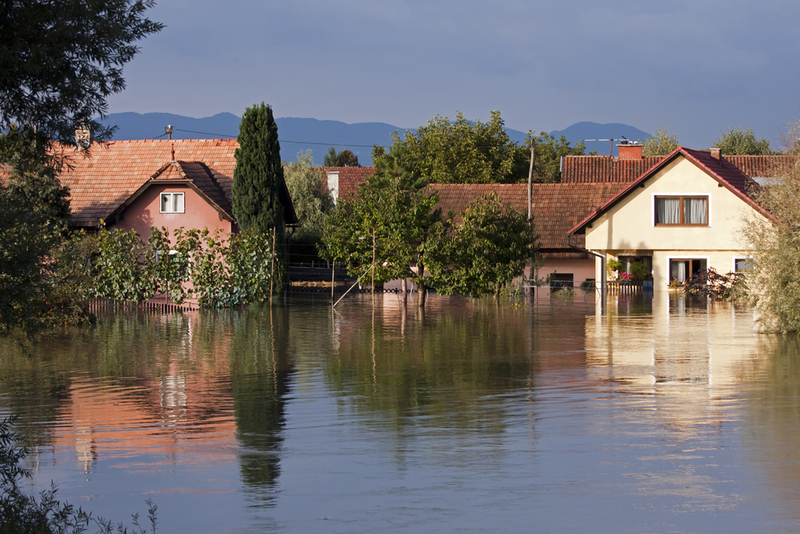 Even if you have flood insurance to mitigate your expenses, you have many obstacles to overcome on your road back to normalcy. One of the greatest of those obstacles is mold. A flood-damaged home is one of the most attractive environments for mold spores to gather and colonize. Fortunately, there are steps you can take to prevent the formation of mold, and by doing so, you can help to ensure the health of you and your loved ones and potentially save thousands of dollars. If mold has already gotten the upper hand in your home after a flood, and you would like to know more about your possible options as a homeowner, please contact the team of real estate professionals at Fast Home Help today. Obviously, you have a lot on your mind right now, not to mention a lot of work to do. When prioritizing your post-flood checklist, be sure to put investigation of mold at or near the top. Ideally, you will check for and take care of any mold within 24 to 36 hours of flood water being removed from your home. Even if this is not possible, you will want to take action as soon as possible. With each passing hour, mold can spread, and the number of your possessions you will be able to salvage will decrease. Mold investigation is something you definitely do not want to put off for days, let alone weeks or months. Without moisture, mold cannot grow. Remove any household items that are wet, particularly those that can log water, from your home as quickly as possible. Pillows, sofas, curtains, rugs, and upholstered furniture should be taken outside even if they are only slightly wet. Fans and dehumidifiers may be useful aids in drying rooms. However, fans should not be used in areas already affected by mold as they can cause spores to spread and make matters far worse. Your first instinct may be to hire a professional to test your home for mold. This is an expensive and potentially unnecessary step that should not be considered a substitute for self-inspection in any event. Even if you would feel more comfortable having your home professionally tested, you should not delay your own investigation. Be on the lookout for any signs of water damage or collected moisture, especially on organic materials such as wood, fabric, and paper and behind and under sinks, carpeting, furniture, and vinyl flooring. If these items have not been damaged, it is important to remove them from your house until it has been dried out. Non-porous materials that have sustained only minimal mold damage can be cleaned with detergent and dried immediately. If mold has spread to an area larger than 10-feet-by-10-feet (100 square feet), you should not attempt to clean it up on your own. For your own safety, please hire a professional with experience in ridding homes of mold. If your home is affected by only small growths of mold, you may be able to do the clean-up and repairs yourself, but be certain to protect your health by wearing rubber gloves, safety glasses, work boots, and an N95 mask (a disposable respirator available at most hardware stores). The safest and most effective cleaning solution to use is simple detergent mixed with hot water. Open the windows and doors of your home to promote drying. Avoid vacuuming, sanding, sweeping, and scraping. The goals of post-flood clean-up and repairs should be to rid the home of any trace of mold and eliminate any source of unwanted moisture. If these goals are not met, a mold-removal expert should be brought in to help immediately. The real estate professionals of Fast Home Help are here for you in your time of need. We encourage you to request your free, no-obligation property privacy audit today. You may also request a cash quote for your home if you are interested in selling your home fast and leaving the post-flood clean-up and repairs to us.